When people invest in a company, they’re usually investing in something new. Facebook has been around for only 11 years. Apple less than 40 years. Even Fortune 500’s #1, Walmart, has only been around for 52 years. Now compare that with the metals you can invest in with your precious metals IRA, some of which predate . These metals were precious before modern technology, but now that they’re in electronics they’re irreplaceable. 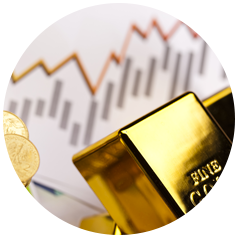 Gold – Gold has the most storied history of any precious metal. Because of its low melting point and malleability, it was one of the first metals that humans ever worked with. Jewelry was, of course, one of its first applications, and it became the standard of coin minting and a way for nations to trade with each other. Gold continues its popularity today, and most of it is used for jewelry and investing. It also serves an important role in industry for electrical connectors (much of it in cell phones) since it doesn’t corrode. Silver – Silver mirrored gold as a fashion accessory and a form of coinage. On the technology side, silver is simply incredible. It has the highest conductivity of any metal, which makes it very important in electronics. And if you’re looking to the future, we’d like to mention that silver is important in the production of solar panels and water filtration, two industries that are set to grow exponentially. Platinum – Platinum is often used in catalytic converters, but also for jewelry and investment. It’s one of the rarest of all earth metals. Platinum is also important in dentistry and certain anti-cancer drugs. Palladium – Palladium is the most recently discovered of the four approved metals for precious metals IRAs. No metal is more suited to make the transition from the past to the future better than palladium. For gas-fueled cars, palladium is used in catalytic converters in order to convert dangerous gasses into benign ones. For the future, palladium is important in the production of fuel cells for vehicles. Many of the largest companies in the world have come and gone, but metals like those in a precious metals IRA will always have a place in technology. Invest in your future with a precious metals IRA.